You will love this meticulously maintained, light filled 2nd floor condo with no one above you! It boasts an inviting, open floor plan, vaulted ceilings, new paint throughout, new dishwasher, wood floors in the kitchen and dining area, very spacious bedrooms, two covered balconies, new carpet (2017) and hot water heater (2016) . The master bedroom has a large walk-in closet plus a linen closet, double sinks in the bathroom and a private balcony. It comes with a single car garage plus a parking space. Furnace and air recently cleaned and serviced. Washer and dryer are included. Great location! 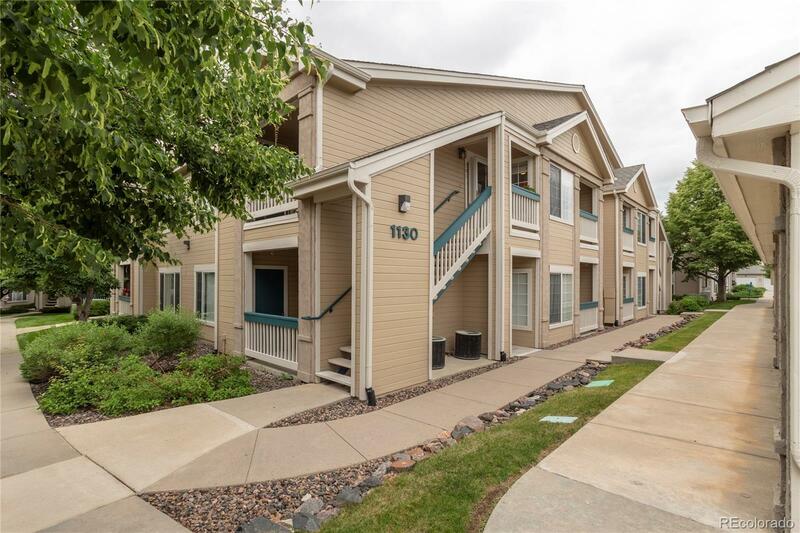 Easy walk to King Soopers, restaurants and more! HOA includes swimming pool, fitness center and clubhouse. Association Name Primary: Miramonte Ranch Condominiums Association, Inc.